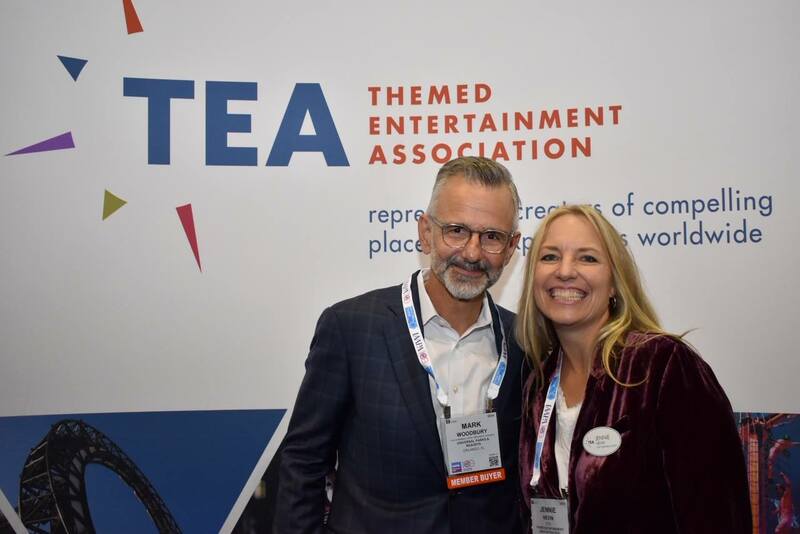 Universal Creative president Mark Woodbury and Dollywood theme park have topped the honours in the 25th annual TEA Thea Awards. 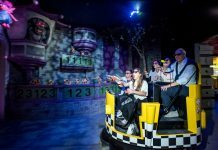 The 2019-19 winners were announced by the Themed Entertainment Association (TEA) at IAAPA Attractions Expo in Orlando on November 13. The recipients will not formally receive their awards until April’s Thea Awards Gala at Disneyland Resort in Anaheim, California. Recognising some of the most compelling new places and experiences around the world, the Thea Awards are considered among the industry’s greatest honours. This year’s awards committee, headed by Lisa Passamonte-Green of Visual Terrain, chose from hundreds of nominations. The final selection was approved by the TEA international board of directors. 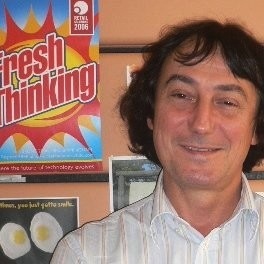 Winner of the Buzz Price Thea Award for 2019-19, recognising a Lifetime of Distinguished Achievements, is Mark Woodbury. The president of Universal Creative is also vice-chairman of Universal Parks & Resorts. “Mark Woodbury’s leadership, along with a highly-motivated and talented team, pushed technology and storytelling and the Universal brand to an all-new industry standard,” wrote the Thea Awards Committee. 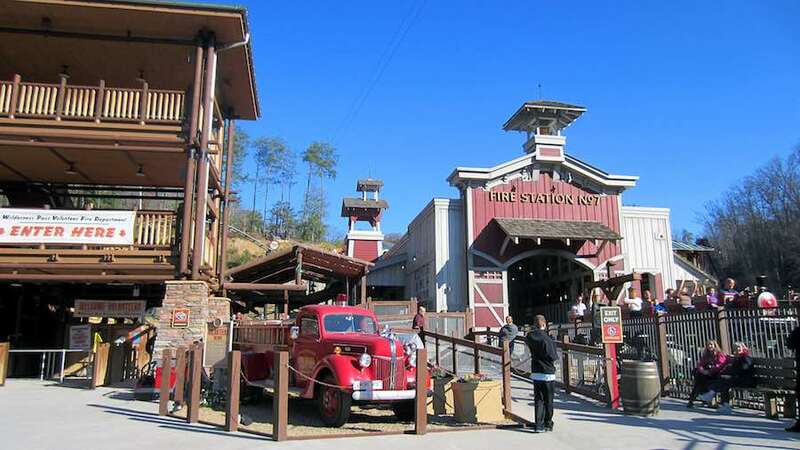 In Pigeon Forge, Tennessee, Dollywood (pictured above) picks up the Thea Classic Award for this year. The theme park began as Rebel Railroad in 1961, before spells as Goldrush Junction (1970-1976) and Silver Dollar City Tennessee (1977-1985). It was relaunched as Dollywood by Herschend Family Entertainment in 1986 following a partnership with Dolly Parton. The country music superstar has lent her name and guided its development ever since. Meanwhile Michel Linet-Frion has been honoured with the Peter Chernack Distinguished Service Award, recognising exceptional volunteer service to the TEA. The Creative & Innovation director at Center Parcs operator Pierre & Vacances joined the association in 1999 and has been an active member ever since – both in the Europe and Middle East division and internationally. 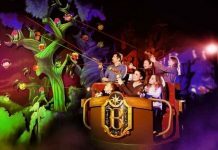 This unique attraction – as featured above – introduces interactive dark-ride storytelling to an emerging theme park market and builds on a unique and local cultural context. In this first-person, interactive experience, visitors face crises that Washington faced in his presidency, hear from advisors and choose a course of action while on the clock, then learn how Washington himself acted. 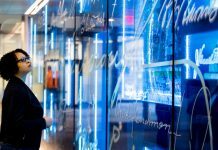 Japan’s famous art collective teamLabs created this permanent experience showcasing more than 50 interactive digital artworks. “This simple, yet innovative combination of analog interactive installations and advanced projection mapping visuals equals a world-class, non-linear entertainment experience,” wrote the Thea Committee. 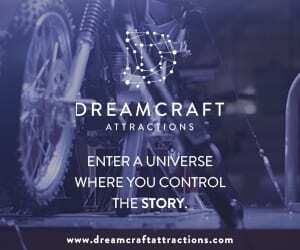 This sincere museum offers a collection of many of Knievel’s unique cycles, fancy leathers, the lovingly-restored ‘Big Red’ truck he used to transport his stunt show and the famous Skycycle X-2 rocket in which Knievel attempted to jump Snake River Canyon. Visitors can even enjoy a virtual reality jump over 15 police cars. “Fantastic Journey sets a new standard in cruise ship entertainment by the creation of an epic concert of exceptional proportions and production values aboard the Majestic Princess, which was purpose-built for the Chinese guest market,” said the TEA Thea Awards Committee. This unique collaboration featuring the work of Canadian artist Sarah Fuller is a magical, nighttime, digital discovery. 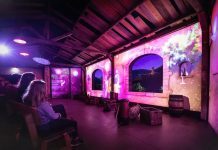 Guests are outfitted with multimedia tools disguised as camping gear that activate story points, trigger video, special effects, music and voiceovers along the way, revealing wildlife and history. 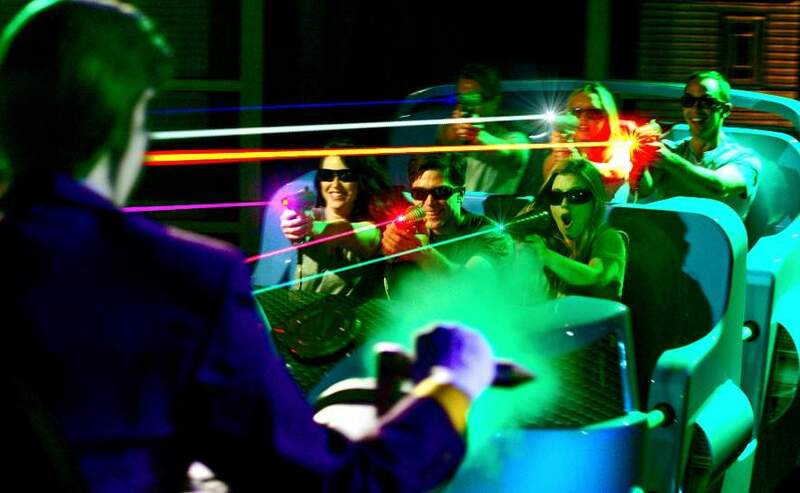 This immersive ride experience is “beautifully executed and subtly transformed,” said the awards committee. 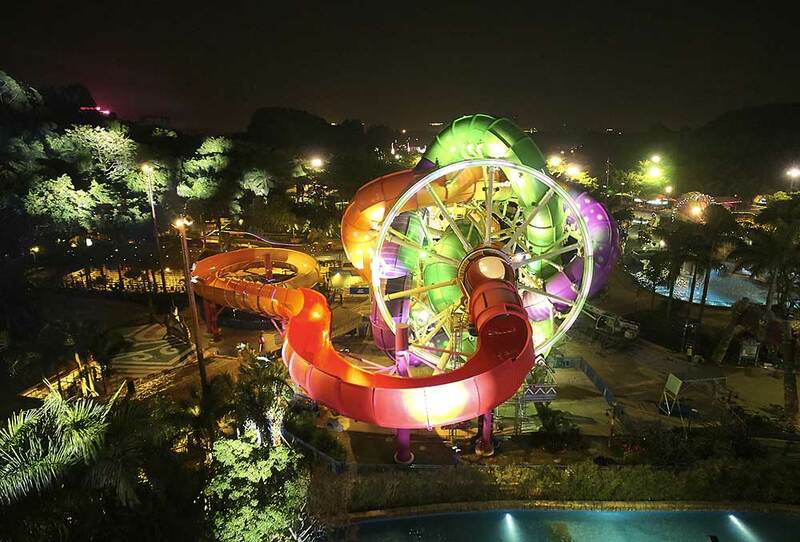 “The immersion effect composed of video and motion is perfectly balanced, providing the guests with a feeling of riding in the water and plenty of surprises and action to entertain.” Now with a new exterior façade, pre-show and more refined simulator experience, SeaRider replaces the park’s former StormRider. This live spectacular features a 3,000-person audience platform that rotates seamlessly from scene-to-scene during a tale of Chinese travellers on the Silk Road to ancient Rome during the Tang Dynasty. Audiences are wowed with stunning stage effects, massive props, extreme scenery, a huge cast, animal actors, a 15m volcano and snow mountain, 18m Buddha and 20m by 40m waterfall – all against the backdrop of a 4,000 sq m LED screen. Developed by Intel’s Drone Group, this drone system is an innovative design and engineering solution for aerial light shows. Employed in the PyeongChang 2018 Winter Olympic opening ceremony, 1,218 drones set a new Guinness World Record for most drones flown simultaneously. The TEA Summit and Thea Awards Gala, presented by Chimelong, take place from April 11 to 13, 2019. Tickets go on sale in December at www.teaconnect.org.